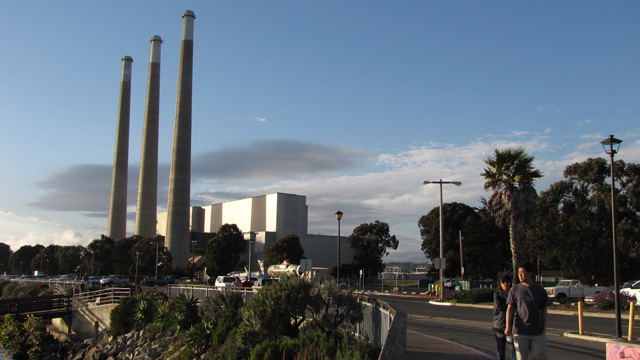 Following Monday's roll-out from the federal Environmental Protection Agency, there was optimism -- if not clarity -- over what proposed new regulation of power plant carbon emissions would mean for California. "The idea of setting higher standards to cut pollution at our power plants is not new," President Barack Obama said in his weekly address, "It's just time for Washington to catch up with the rest of the country." When the president refers to "the rest of the country," California looms large, given the state's aggressive moves to cut carbon emissions. Those include a power mix with 33 percent renewable energy by 2020, and the nation's most ambitious cap-and-trade program to throttle industrial emissions of greenhouse gases. California put specific limits on global warming emissions from power plants back in 2006, with a law that Derek Walker of the Environmental Defense Fund calls, "a forerunner" of the new federal standard. But the two use different measuring sticks. California's broader climate strategy, also passed in 2006, aims to cut emissions back to 1990 levels by 2020. The new federal Clean Power Plan would require a 30 percent cut from 2005 levels by 2030. Nonetheless, Derek Furstenwerth, senior director for environmental services at Calpine, a major power producer in California, told reporters that while Calpine is still sifting details of the plan, California's program is "sufficiently stringent" so that it should meet the federal goal. Hit hardest by the new rules will be the nation's 600-or-so coal-fired power plants. States that depend heavily on coal power will have to find ways to reduce carbon emissions -- but how they do it will likely be left largely to them. In her announcement, EPA Administrator Gina McCarthy said the proposed rule, "is not a one-size-fits-all solution." Less coal-dependent states might comply simply by tightening energy efficiency standards. States could also develop more clean energy sources or put a price on carbon with programs similar to California's cap-and-trade program. That, in turn, could lead to more cap-and-trade partners for the Golden State. Currently Quebec has the only carbon market directly linked to California's. On the other hand, the proportion of electricity that Californians get from natural gas has been rising. The shutdown of a major nuclear power plant in Southern California combined with reduced hydroelectricity from the ongoing drought have forced power producers to replace that missing power with natural gas, pushing its proportion in the state's power mix to about 70 percent. Though far less carbon-polluting than coal, natural gas is a fossil fuel and produces substantial warming emissions. 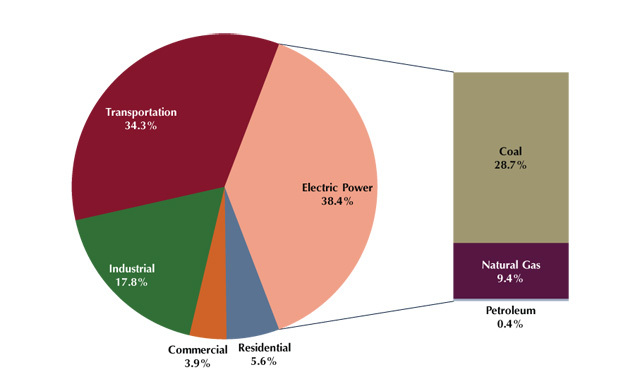 The Natural Resources Defense Council has done its own tally of prospective benefits, most of which would accrue to 13 "key states," where energy is currently more carbon-intensive than in California. Of course, NRDC did its math before the actual rules were unveiled. Conversely (and in similarly speculative fashion), voices from the fossil fuel industry and some utilities have decried the new regulation as a job killer. States have until at least 2016 to submit their plans to meet the new standard.